Dat's right, it's nearly the end of 2010 and it's time for another giveaway. 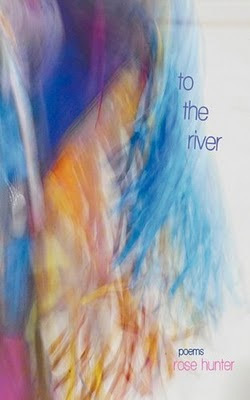 Up for grabs is Rose Hunter's lovely poetry collection To the River (Artistically Declined Press, 2010). I recently reviewed Rose's book over at Cow Heavy Books, and I happen to have an extra copy on hand that I would like to send to one lucky winner. SO! Send me an email at eddiesocko[at]gmail[dot]com with the words PRETTY ROSES (or something fun) in the subject line. I'll pick the winner's name from my wooly winter hat at exactly 11:59pm EST tomorrow night and then notify everyone and then it'll be 2011 and wow. Update: WINNER SELECTED, EVERYONE NOTIFIED. HAPPY NEW YEAR, ALL. THANKS FOR PLAYING.